The Gathering of the Scots has long been recognized as a “festival of firsts” – and their record is impressive! Over the past 17 years, organizers of this little Scottish Gathering in Western New Brunswick have constantly strived to implement new and innovative ideas their visitors to enjoy! Some of their many accolades include introducing Scottish Athletic events specifically for both Junior and Female competitions, serving as host of the Canadian Masters Scottish Heavy Athletics Championships, presentation of the first falconry exhibitions ever seen in our Province, the introduction of the mystic Castalia Stone, registering to compete for the World’s largest Clan March and even offering free admission to the festival in celebration of our Nation’s 150th anniversary in 2016! In 2019, they have done it again and are excited to announce their successful bid to host the “Canadian Women’s Scottish Athletic Championships” – the first time this event has ever been hosted in Atlantic Canada! The Gathering is the first Atlantic event to host the Canadian Women’s Scottish Athletic Championships. 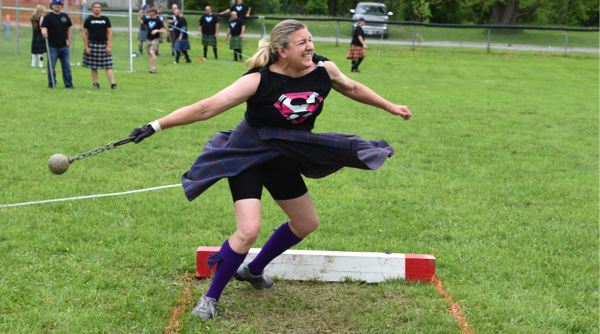 Although many details need yet to be confirmed, what we do know is that the Gathering of the Scots in Perth-Andover will definitely be the Highland Games to attend in 2019 with a Canadian Championship on the line!